Comprehensive guide for cities, towns and other locations. Make your Skyrim great again! These are only my recommendations. You can easily switch over other mods. [CLEANING] - you need to clean it in SSEEdit. [OLDRIM] - mod from Skyrim Legendary Edition. You need to properly port this mod for Special Edition. [WATERFLOW] - You need to fix waterflow in xEdit via this script. - mod from Skyrim Special Edition that have badly ported esp (form 43). You need to resave this plugin in Creation Kit. Whiterun Expansion Redone and Open Cities Compatible [OLDRIM] ==FPS== - [CLEANING] [WATERFLOW] A few clipping issues with EEKs Beautiful Whiterun. Just "disable" these items. EEKs Whiterun Interiors SSE - If you have Distinct Interiors, you need to delete all records changed in EEKs mod. Elysium Estate - You can use it alongsite Breezehome mods. Immersive Laundry - There is a patch for it on JK's Skyrim site. 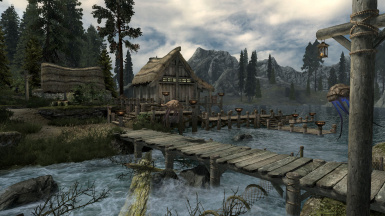 Outlaws Refuges - [CLEANING] [WATERFLOW] [NAVMESH] Compatible with JK's Skyrim. Not sure about EEK's Beautiful Whiterun. (OPTIONAL) Whiterun Valley LITE﻿﻿﻿ ==FPS== - You need a .bsa from original Whiterun Valley﻿. Also download patch for Cutting Room Floor, JK's Skyrim and Immersive Citizens (if you use it). Distinct Interiors - You need to delete all records changed in EEKs Whiterun Interiors SSE mod. Unique Vampire Dens SSE﻿ - Also download JK's Skyrim patch. Halla - A Whiterun Player Home - Not compatible with Provincial Courier Service. Palaces and Castles Enhanced SSE - [CLEANING] [WATERFLOW] There is a patch for Immersive Citizens. Provincial Courier Service﻿ - Not compatible with Halla. 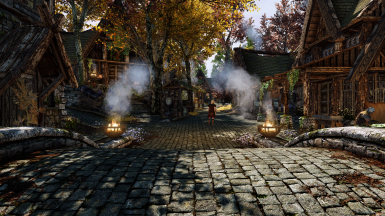 Better Cities SSE - Solitude and Whiterun Overhaul ==FPS== - Not compatible with any Pack. You can still try it, but I think that there are better choices. Kato's Whiterun﻿ - Mod still need a lot of work (NavMesh issues, random CTD), but author is inactive. InnCredible - Old and broken mod. I don't recommend it. Friendlier Taverns with Baths - Not compatible with any Pack. Populated Cities Towns Villages Legendary Edition - Optional. Take if you want more people in village. Perfect Whiterun for Skyrim SE - Not compatible with any Packs. Whiterun gates and walls restored - Not compatible with any Packs (JK's Skyrim, T'Skyrim, Kato's compatible issues). Wayshrines of Tamriel - For me, looks very weird in some locations. Should be compatible with all Packs (I'm not sure). Wind District Breezehome SSE - To much conflicts with all Packs due to new localization of the Breezehome. Draven Manor (SE) - Not compatible with Whiterun Valley LITE. Still, you can try this with other mods. Wind's Rest Estate - A Whiterun Tundra Home - Compatible with all Packs. Bathing Beauties or Beefcake - Luxury Suite SE﻿ - Not compatible with Whiterun Expansion Redone, semi-compatible with T'Skyrim - Whiterun. Chapels Of Skyrim﻿ - Not compatible with Whiterun Valley LITE and T'Skyrim - Whiterun. Should be compatible with rest of the mods. I don't recommend it. It looks bad. Katixas Ciderhouse Restaurant - SSE Conversion﻿ - Not compatible with Whiterun Expansion Redone and T'Skyrim - Whiterun. Rervun SE - Starter Home﻿ - Compatible with all Packs. Valkyrja Manor Player Home﻿ - Compatible with all Packs. Whiterun Underground Lair SE﻿ - Compatible with CORE PACK, not sure about others. The Ruins﻿ - Not compatible with Whiterun Expansion Redone, T'Skyrim - Whiterun and Whiterun Valley LITE. Valkyrja Castle Whiterun﻿ - Not compatible with Whiterun Expansion Redone and T'Skyrim - Whiterun. Holds The City Overhaul﻿ - Not compatible with any Pack. Not recommended until there will be more stable and compatible version. A MODerate Whiterun Tree Mod - compatible with JK's + DoS combo, JK's only nad DoS only. Not compatible with other Whiterun overhauls. Carriage Stops of Skyrim﻿﻿ - Not compatible with Whiterun Valley LITE. Dwemerfication of Skyrim﻿ - Not compatible with any Pack. The Sanctum SE﻿ - Compatible with all Packs. Bells of Skyrim﻿ - Compatible with JK's Skyrim. I don't recommend it. Too much problems with NavMesh and guards. Northern Bathhouses - SSE﻿ - Compatible with JK's Skyrim. Willybach's Whiterun﻿ - Not compatible with any Pack. Z'Whiterun﻿ - Really good mod. Still Work in Progress. Deadly Shadows for JK's Skyrim﻿ - Not compatible with additional mods for Core Pack. Candy Shops of Skyrim Special Edition﻿ - Not compatible with some mods from Packs. The Great Forest of Whiterun Hold﻿ - I don't like it. Whiterun Forest Borealis﻿ - Also don't like it. Alpine Forest of Whiterun Valley﻿ - Most compatible from all Whiterun forest mods. If you really want forest, check this. Solitude Exterior Addon﻿ ==FPS== - Fixed version in main files. JUSTICE - City Exteriors SSE ==FPS== - Load above Solitude mods. Immersive Laundry - with a patch from JK's Skyrim site. Cake O'Clock - Hearthfire Bakery SSE﻿ - with a patch from my download section. Harborside - Solitude Bridge Home﻿ - There is a patch for Solitude Expansion. The Honey Spirit - Liquor Shop in Solitude SSE - Some clipping issues with plants, etc. (easily to fix via console). Solitude Exterior Addon﻿ ==FPS== - Solitude Expansion must be lower in your load order. Fixed version in main files. The Honey Spirit - Liquor Shop in Solitude SSE - with a patch from my download section. Outlaws Refuges - [CLEANING] [WATERFLOW] [NAVMESH] Entrance in town is covered by Honey Spirit, but you can still go there by the exterior entrance. Cake O'Clock - Hearthfire Bakery SSE﻿ - There can be some clipping issues with plants, etc. (easily to fix via console) or use patch fromy my download section (It's made for JK's Skyrim but it should also work for others mods). Immersive Citizens - AI Overhaul SE - Not compatible with Solitude Exterior Addon. Realistic Solitude Arch - Mod is not properly ported, have missing water flow data (USSEP) and have to much compatible problems with other mods. Another Skyrim - Solitude [OLDRIM]﻿ ==FPS== - There is no interiors and NavMesh for new structures. Better Docks - Not compatible with Packs. Wayshrines of Tamriel - For me, looks very weird in some locations. Should be compatible with all Packs. Populated Cities Towns Villages Legendary Edition ==FPS== - Take if you want more people in village. Corner House in Solitude﻿ - Not compatible with The Honey Spirit. Solitude Overgrown﻿ - There is a patch for JK's Skyrim only. The Solitude Arena SSE﻿ - Work in progress mod. Should be compatible with all most of the Solitude overhauls. Solitude Skyway - I really don't see a point of using it. It's not even looking good. Not compatible with mods from the Packs (like Solitude Docks and Solitude Exterior Addon). Proudspire Marketplace SSE﻿ - Work in progress. Deithwen - Family Edition﻿ - Compatible with most of the Solitude mods (not sure about DoS). I think that this house look too out of place. It doesn't match Solitude architecture style. Deadly Shadows over Solitude - Not compatible with core mods. Riften Docks Pathways - Clipping issues with Sweet as Honeyside with one I always using. Beautiful Cities SSE ==FPS== - Compatible problems with mods from the packs. Clockwork (SSE) - Compatible with Core mods. Only need a little patch for Sweet as Honeyside. Trees in Cities - Special Edition ==FPS== - Not compatible with Core mods. Wayshrines of Tamriel - For me, looks very weird in some locations. Deadly Shadows in Riften﻿ - Not compatible with core mods. Windhelm Bridge Overhaul ==FPS== - Fixed version under main files. Windhelm Exterior Altered ==FPS== - Fixed version under main files. Also download patch for Windhelm Bridge Overhaul and Windhelm Exterior Altered from my main files. Skyrim Sewers 4 - [CLEANING] [WATERFLOW] Patch for Windhelm Exterior Altered under main files. (OPTIONAL) Snowy AF Windhelm - Load before JK's Skyrim (there still may be a few clipping problems). Also download patch for exterior mods from my main files. Cut Content - Windhelm Arena ==FPS== - Compatible problems with Core mods. Beautiful Cities SSE ==FPS== - Compatible problems with Core mods. Clockwork (SSE) - Compatible with Core mods. Divaliious Skyrim -- An immersion enhancing location overhaul - Not compatible with Core mods. The Warmstone of Windhelm SE﻿ - Not compatible with core mods (like JK's Skyrim). Windhelm Docks Pathways - Not compatible with core mods (for example: Windhelm Bridge Overhaul). Winter in Windhelm (WiW)﻿ - Not compatible with core and additional mods from packs. Also there is a lot of problems with NavMesh. Deadly Shadows of Windhelm﻿ - Not compatible with core mods. Deadly Shadows for JK's Skyrim﻿ - Not compatible with additional mods. Another Skyrim - Windhelm [OLDRIM]﻿ - Same problem as in other mods from this author (no interiors, not NavMeshed, lack of support for other mods). Skyrim Better Gray Quarter﻿ - Not properly ported. Also not compatible with core mods. Windhelm Expansion [OLDRIM]﻿ - I'm currently working on port. Not compatible with Windhelm Exterior Altered. SNOW CITY - The Great Expansion of Windhelm [OLDRIM]﻿ - There is A LOT to fix in this mod. Still, it's great addition to Windhelm. I'm waiting for permission to port and fix it. Windhelm's Morrowind Refugee [OLDRIM]﻿﻿ - Not compatible with VIGILANT SE. MA Windhelm - Looks ok but it's not properly NavMeshed. JUSTICE - City Exteriors SSE - With a patch for City Entrances Overhaul from my download section. JUSTICE - City Exteriors SSE - There are some issues with City Entrances Overhaul. You can disable a few cages in game or wait for patch. Wayshrines of Tamriel - For me, looks very weird in some locations. Compatible with Core mods. The Brotherhood of Old - Open Beta - SSE﻿ - If you're using it, download Compatibility patch for Skyrim Sewers﻿. Deadly Shadows over Markarth﻿ - Not compatible with core mods. HoT Markarth [OLDRIM] - I'm working on a port of it. Best Markarth [OLDRIM] - A lot of wild edits and NavMesh problems. Historic Markarth [OLDRIM]﻿ - Not compatible with core packs. Still have a lot of problems. More Populated Markarth - Not compatible with core mods. Also have a lot of problems/ unifnished things. Silverstead (SE) - Not compatible with Left Hand Crossing SSE. Markarth Reach Environment Upgrade [OLDRIM]﻿ - Interesting but abandoned project. Towns and Villages Enhanced - Markarth﻿ - Not compatible with core mods. Bring Out Your Dead - With a patch from JK's Skyrim site. Wayshrines of Tamriel - For me, looks very weird in some locations. Should be compatible with Core mods. Bigger Falkreath Graveyard - Not compatible with core mods. Lush Falkreath ==FPS== - Not compatible with Core mods. Kato's Falkreath ==FPS== - Not compatible with core mods. Not properly NavMeshed. Also it have some wild edits, that can break your game! Holds The City Overhaul - Not compatible with any Pack. Not recommended until there will be more stable and compatible version. Still, the best attempt to overhaul the Falkreath IMHO. Perfect Expanded Falkreath Town and City [OLDRIM]﻿ - Really problematic mod. Not compatible with other core mods. Realistic Falkreath Graveyard﻿ - Not compatible with core and additional mods. Falkreath Reborn [OLDRIM]﻿ - To much problems with it. Also not compatible with core mods. Chapels Of Skyrim﻿ - Should be compatible with rest of the mods. I don't recommend it. It looks bad. The Great City Of Falkreath SSE Edition﻿ - Has a lot of great things in it, but in general... looks kinda meh (maybe with vanilla textures it would be looks better). Not compatible with core mods and ICAIO. Carriage Stops of Skyrim - Untested. (OPTIONAL) Morthal Overhaul II﻿ ==FPS== - With a patch for JK's Skyrim. Another Skyrim - Morthal [OLDRIM]﻿ ==FPS== - Some issues with NavMesh and lack of interiors... but it looks great. ClefJ's Morthal [OLDRIM]﻿ - Not compatible with any pack. The Great City Of Winterhold SSE Edition﻿ ==FPS== - Not compatible with Interesting NPCs. Winterhold - Expanded Ruins ==FPS== - Not compatible with Core mods. Populated Cities Towns Villages Legendary Edition ==FPS== - Take if you want more people in city. Winterhold Ruins - True Capital Of Skyrim﻿ - A lot of problems with it (broken NavMesh, problems with CTD). Not compatible with core mods. Less Desolate Winterhold﻿ - Not compatible with core mods. You can use it in combo with JK's Skyrim. Winterhold Gate SE﻿ - Nothing interesting. Realistic Winterhold﻿ - Not compatible with core mods. Qaxe's Winterhold Rebuild for SSE﻿ - Not compatible with core mods. Winterhold Fully Restored﻿ - Not compatible with core mods. The Mystery of Icebound Crypt SSE - Should be compatible with rest of the mods. Dawnstar﻿ - With a patch from JK's Skyrim site. Distinct Interiors - Compatible with Core mods. Take version without inns if you took InnCredible or Friendlier Taverns. Outlaws Refuges - [CLEANING] [WATERFLOW] [NAVMESH] Compatible with Core mods. Another Skyrim - Dawnstar [OLDRIM]﻿﻿ - Also download the Dawnguard patch. Mod have a lot of issues with NavMeshes and lack of compatible patches... but it looks great. Falskaar - Compatible with Core mods. Ships from JK's and Falskaar are close but do not clip. Dawnstar Overhaul﻿ - To much problems. Wait for next version. ﻿ClefJ's Dawnstar [OLDRIM]﻿ - Not compatible with core mods. The City Of Dawnstar 1.0 BETA [OLDRIM]﻿ - Still work in progress. Expanded Dawnstar Docks﻿ - Not compatible with core mods. Friendlier Taverns with Baths - Not compatible with core mods. The Notice Board SE﻿ - Use Missives instead. Clockwork (SSE) - Compatible with Core mods (there are patches for it). Quaxe's Raven Rock (SSE)﻿ - Not compatible with core mods. 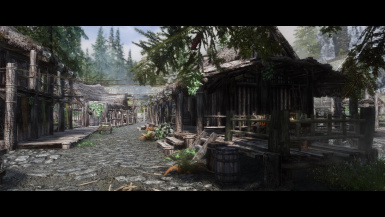 (OPTIONAL) T'Skyrim - Riverwood (Addon for JK's Skyrim)﻿ ==FPS== - Load after JK's Riverwood. Leaf Rest SSE﻿ - Included in T'Skyrim - Riverwood. Unique Locations - Riverwood Forest ==FPS== - Download a patch for T'Skyrim - Riverwood. 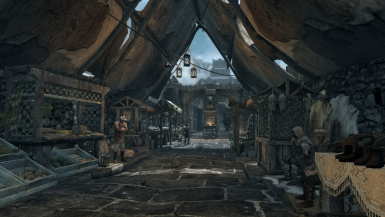 JK's Riverwood﻿﻿ ==FPS== - To fix trader CTD issue go around to the left hand side of the exterior of the shop. Open up ~ and disable the chest that's inside the caged bit. (OPTIONAL) Unique Locations - Riverwood Forest ==FPS== - Download a patch for JK's Riverwood. This is Riverwood ==FPS== - Can be replaced with Kato's in LITE PACK. Riverwood Reborn - Special Edition ==FPS== - Look's nice, but there is a lot NavMesh problems. Not compatible with any Pack. The Notice Board SE - Just use Missives. KageroRiverwoodHome﻿ - Not compatible with any Pack. Riverwood by Ozymandy Rebirth﻿ - Not compatible with any Pack. Riverwood Market﻿ - Not compatible with any Pack. Just another Riverwood Mod - Nature of Skyrim - Flora Fauna Lights and Particles [OLDRIM]﻿ - Not compatible with core mods. Riverwood Cottage﻿ - Not compatible with core mods. Riverwood [OLDRIM]﻿﻿ - You can use it instead of Kato's in LITE Pack. Kriemen's Riverwood [OLDRIM]﻿ - Do not use it. Tons of compatible issues with other mods. Anna's Riverwood Cabin﻿ - Not compatible with core mods. Dragon Bridge﻿ - With a patch from JK's Skyrim site. The Great City of Dragon Bridge SSE Edition﻿ - Personally, I really don't like it. Worst mod from The Great City series. Civil War Checkpoints﻿ - Not compatible with core mods. Flokee's Library﻿ - Not compatible with core mods. Dragon Bridge South Side﻿ - A lot of problems with mod. Dragon Bridge Vendors and Blacksmith Revised﻿ - Not compatible with core mods. Anna's Four Shields Tavern﻿ - Not compatible with core mods. Rorikstead Revised ==FPS== - Not compatible with Core mods. Wayshrines of Tamriel ==FPS== - For me, looks very weird in some locations. Compatible with Core mods. Rorikstead Wagons SE﻿ - Not compatible with core mods. ClefJ's Rorikstead [OLDRIM]﻿ - Not compatible with core mods. You can use one of them with Immersive Citizens Packs. Farmhouse Chimneys﻿ ==FPS== - Compatible with Core mods. Man Those Borders SSE - [WATERFLOW] Compatible with Core mods. Rervun SE - Starter Home﻿ - Compatible with core mods. ClefJ's Karthwasten- Experimental [OLDRIM]﻿ - Not compatible with core mods. Town of Karthwasten with player home (Hearthfire's multi adoption mod compatible) [OLDRIM]﻿ - Not compatible with core mods. 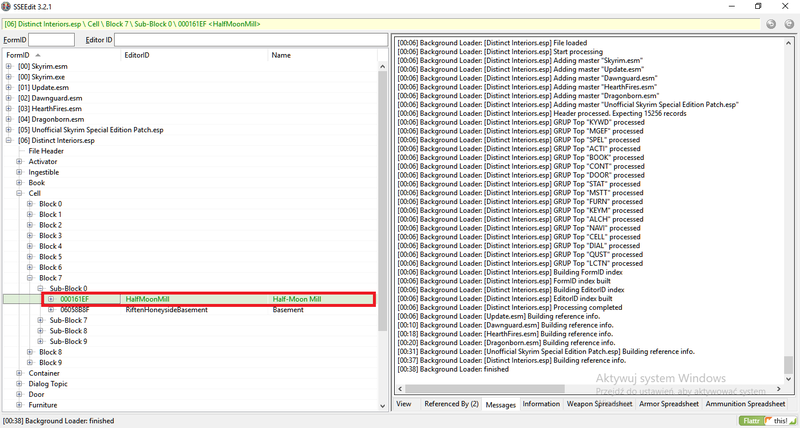 Ivarstead﻿ ==FPS== - With a patch from JK's Skyrim site. Teonas Manor - JK's Ivarstead Compatible [OLDRIM]﻿ - Not sure if it's compatible with Ivarstead by Arthmoor. Ivarstead By Ozymandy﻿ - Not compatible with any pack. Helgen Rebuilt Special Edition﻿ - Not compatible with core mods. You can use it with Immersive Citizens Packs. You can also use it with Immersive Citizens Packs. Expanded Towns and Cities (SSE)﻿ - You should also can use it with Immersive Citizens Packs (with a patch from ETaC). Darkwater Crossing ==FPS== - You can use it instead of ETaC mod in Core Pack. 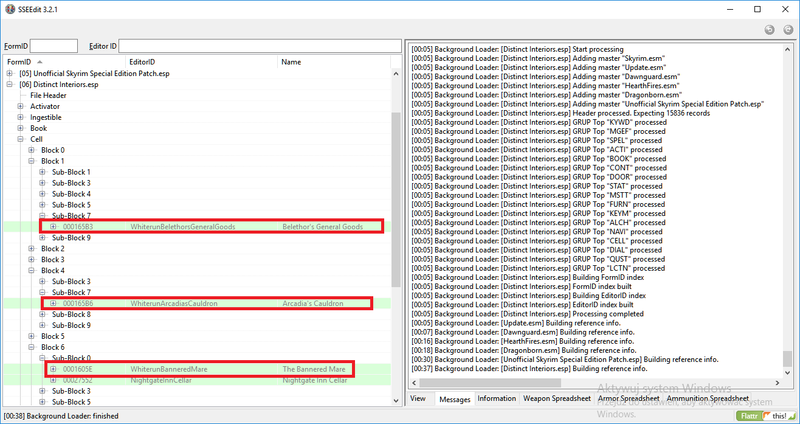 Settlements Expanded ==FPS== - Load before Arthmoor mod. Whistling Mine - No Snow Under the Roof - Only if you using No Snow Under the Roof. Brynjar's Keep - A Dawnguard Outpost SE - Should be compatible with rest of the mods. Skyrim Chimneys ==FPS== - Compatible with Core mods. Helarchen Creek - No Snow Under the Roof - Only if you using No Snow Under the Roof. Stonehills Redone - Evervale Lodge [OLDRIM]﻿ - Problematic with conversion. Mixwater Mill Reborn﻿ - You can also use it with Immersive Citizens Packs. Inns and Taverns SE﻿ - There is a patch for Anga's Mill Reborn, if you want use both. Half-Moon Mill Vampire Town [OLDRIM]﻿﻿ - Download fixed version from my main files. ClefJ's Half-Moon Mill [OLDRIM]﻿ - You need to convert this mod. Also you need to delete inn records from Distinct Interiors. You can use it instead of Core mod. If you want to use ClefJ's Half-Moon Mill, you also need to do this. Settlements Expanded ==FPS== - You can also use it with Immersive Citizens Packs. Legendary Cities - Tes Arena - Skyrim Frontier Fortress﻿ - not compatible with Whistling Mine mods. Doesn't install Pargran Village in FOMOD if you're using Mixwater Mill Reborn or other mods that changes Mixwater Mill. LC_Build Your Noble House﻿ - not compatible with Hunting in Skyrim. Wayshrines of Tamriel - For me, looks very weird in some locations. Compatible with Core Pack. Thunderchild - Epic Shouts and Immersion - Compatible with Core Pack. High Hrothgar Alternate Cave Route SSE - Already included in Skyrim Underground whose I strongly recommend. High Hrothgar ExPandEd SsE Vr﻿ - Not compatible with core mods. Magical College of Winterhold - not compatible with Immersive College of Winterhold.